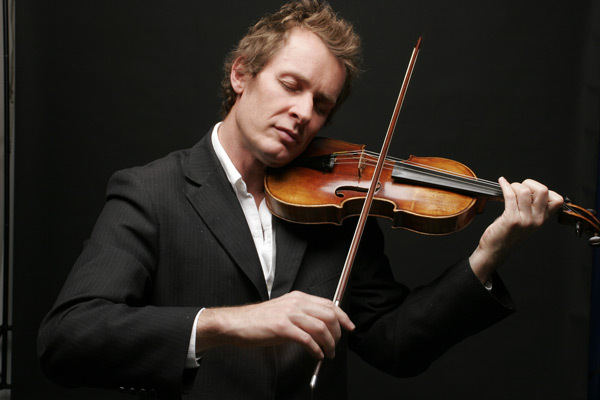 The versatile Michael Collins and friends celebrated Mozart's 260th birthday in style to a capacity Wigmore Hall audience on 27 January 2016. The stage was just as full as the auditorium too. 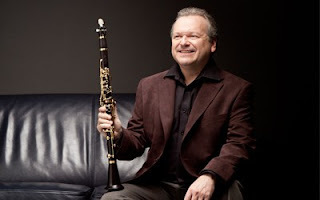 We weren't just celebrating a birthday, we were also feasting on the fruits of Mozart's partnership with virtuoso clarinettist and basset-horn player Anton Stadler, with Serenade in B flat major for 13 wind instruments K361 'Gran Partita', 'Parto parto ma tu ben mio' from La clemenza di Tito K621 and the Clarinet Concerto in A major K622 performed with mezzo-soprano Christine Rice, London Winds and the City of London Sinfonia. First came the Serenade in B flat for 13 instruments, the 'Gran Partita'. Rather than the double bassoon we hear more often, tonight's ensemble included a double bass. This was probably Mozart's intended scoring. Once the symphony of hearing aids in all keys expect B flat major had died down in the auditorium (perhaps time to consider a reminder along with the mobile-phone message? ), the sound world was deliciously velvety, and the fact there was so little elbow-room on the stage meant that there was an intensity and a tightness to the ensemble, whatever the scoring of a particular movement. The portentous Largo opening gave way to the delicate clarinet and bluesy basset horns. The third movement, the Adagio, was achingly beautiful, the four horns brooding in the back row while the oboe sang an aria. The sixth movement, Tema con variazioni, gave lots of chances for showcases of each of the instruments, as well as some opportunities for ad-hoc DIY on stage. The piece lasts about three-quarters of an hour and the scoring is very efficient in that it gives the players chances to catch their breath, sort out reeds and so on. It also contributed to the freshness of the piece. The finale is a Molto allegro that gave us the impression the town band had come on stage. Raucous and playful, it sent us all off to the bar with huge smiles on our faces. Mixing music by Romanian composers Constantin Silvestri and Georges Enescu, the concert by Romanian pianist Mihai Ritivoiu and Bulgarian pianist Evgeny Genchev on Thursday 4 February at 7pm at the Romanian Cultural Institute, 1 Belgrave Square, London, SW1X8PH is presented by the The Romanian Cultural Institute and The Enescu Society and organised in partnership with The Keyboard Charitable Trust. The programme concludes with Six folk dances from Transylvania Op. 4 No. 1 for piano duet by the Romanian conductor and composer Constantin Silvestri (1913-1969) who left Romania in 1959. For the first half of the concert Ritivoiu and Genchev share the honours in a series of solo piano works which mix Bach, Liszt and Chopin with music by the Australian composer Carl Vine and the great Romanian composer Georges Enescu (1881-1955). Ticket are free, but allocated on a first come first served basis via the Eventbrite website. 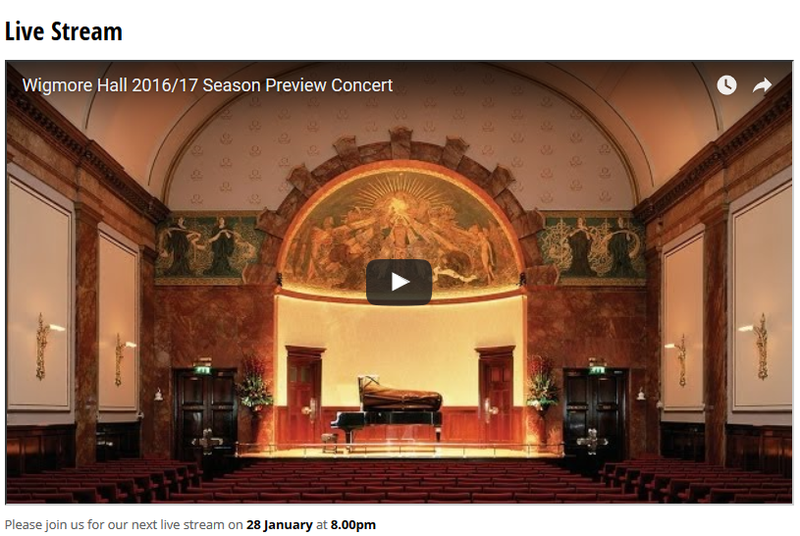 Following hot on the heels of the Barbican Centre's 2016/17 season announcement (featuring Jonas Kaufmann) the centre's 2015/16 Artist Spotlight features the soprano Renee Fleming in a series of concert and events starting on 3 February 2016. 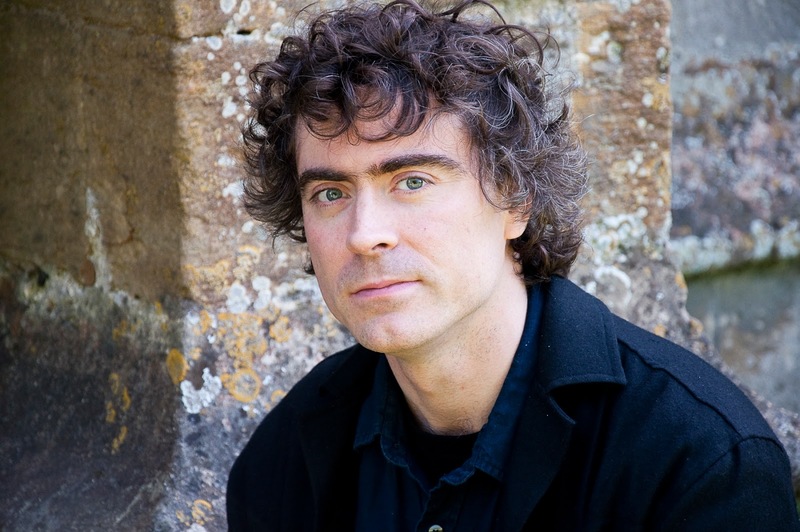 Concerts include Fleming performing with the BBC Symphony Orchestra, and conductor Jiri Belohlavek in two UK premieres, both written for Fleming; Robin Holloway's orchestral arrangement of ten of Debussy's Verlaine settings C'est l'extase and Swedish composer Anders Hillborg's The Strand Settings based on text by the Canadian poet Mark Strand. 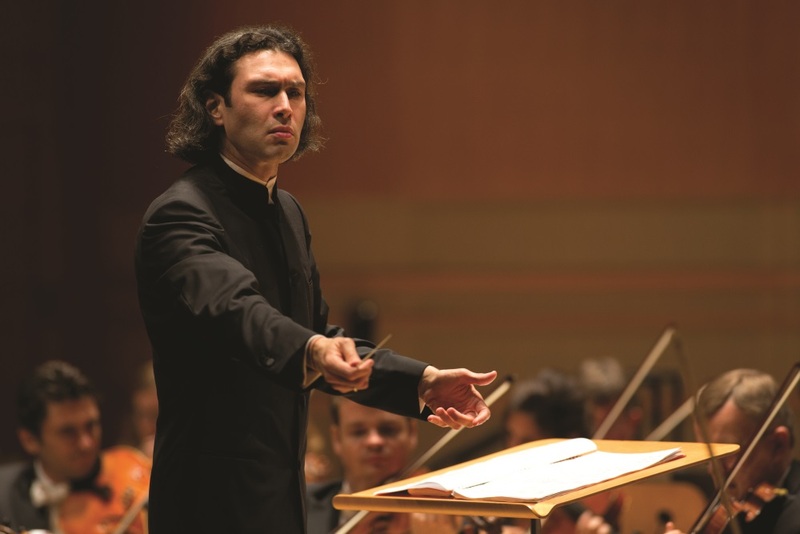 The premieres are framed by orchestral music by Debussy and Ravel. Fleming will also be giving a recital with pianist Hartmut Holl in a programme of songs by Schumann and Richard Strauss. 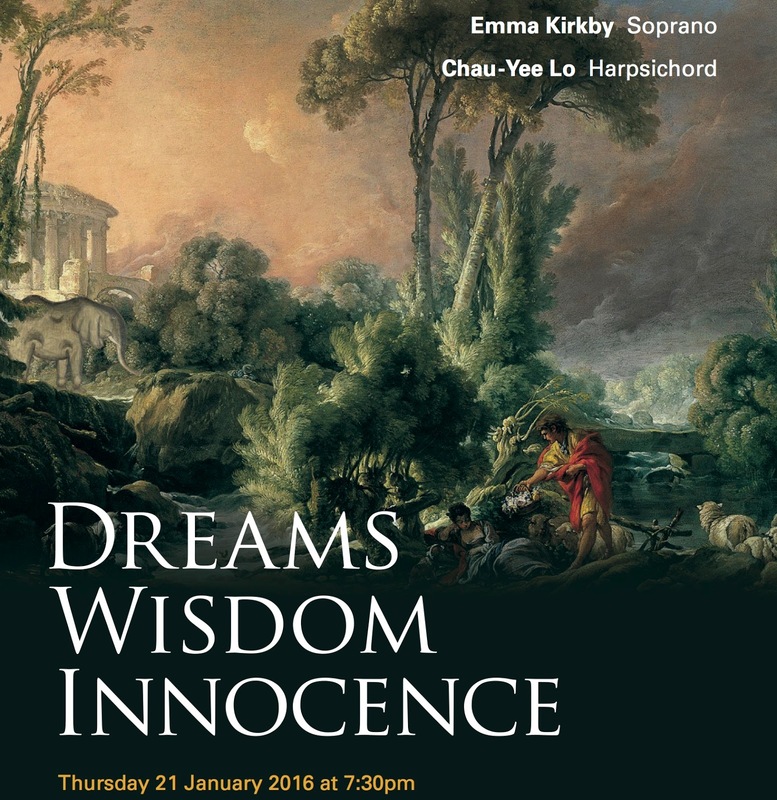 Other events include a panel discussion The 21st Century Singer chaired by Renee Fleming, and she will also be giving public masterclasses with students from the Guildhall School of Music. There are two film events, a documentary about the 2013 American Voices Festival which was hosted by Fleming, and the 2008 Metropolitan Opera Opening Night Gala. Both films will be introduced by the soprano. Full information about the events from the Barbican website. This new disc from cellist Julius Berger on Nimbus Alliance is a follow up to his Inspired by Bach disc. 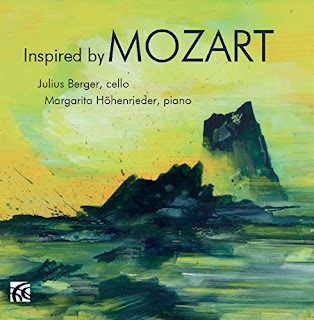 Like that previous disc, this new one Inspired by Mozart is a voyage round a particular work, in this case Beethoven's 1809 Sonata for piano and violoncello in A major, Op. 69. 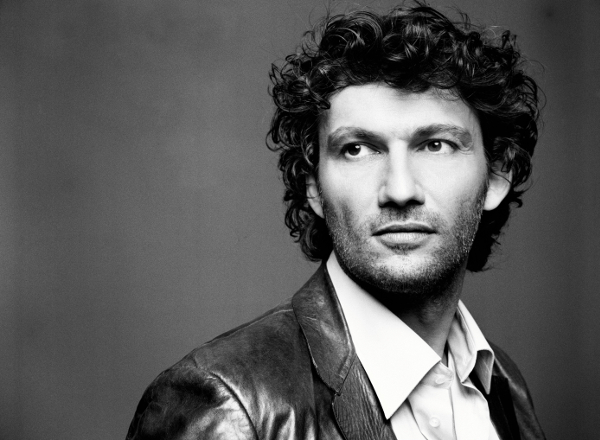 Accompanied by pianist Margarita Hohenrieder, Berger plays Beethoven's Twelve Variations on the theme 'Ein Madchen oder Weibchen' from Mozart's opera 'Die Zauberflote', and Seven Variations on the them 'Bei Mannern welche Liebe fuhlen' from Mozart's opera 'Die Zauberflote', and the Opus 69 sonata, plus Mozart's fragment K580a, and perhaps most fascinatingly the 1814 Grande Sonate for piano and cello (or violin) in E major Op. 19 by Franz Xaver Wolfgang Mozart, Mozart's son born in 1791. Berger and Hohenrieder start with the two set of Beethoven variations, testament to the young composer's admiration of Mozart (in fact Beethoven wrote a total of four set of variations on themes from Mozart's operas). 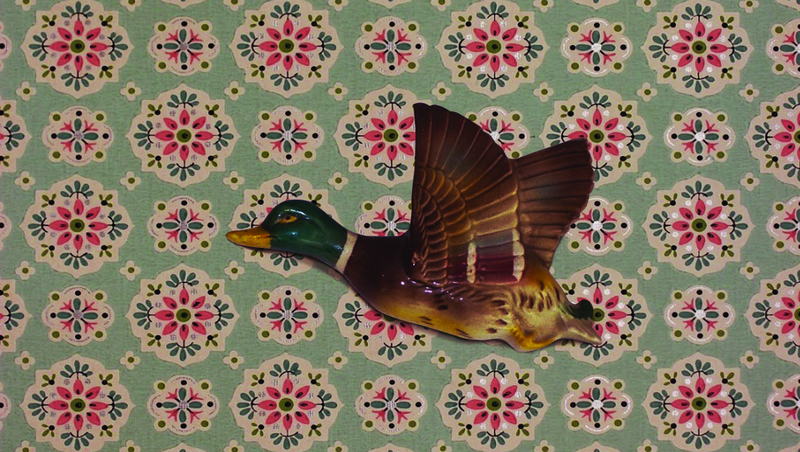 Here Berger and Hohenrieder play with easy charm and lyrical facility. I loved the way that, whilst not playing on a period instrument, Hohenrieder keeps her tone neat and tight whilst still expressive, so that the performances do not stretch the works beyond their natural shape. Mozart's fragment K580a was drafted a year before his death for cor anglais and strings, and here Berger and Hohenrieder play a transcription for cello and piano. Fascinatingly the melody is that which Mozart would use in his Ave Verum. Mozart junior's sonata is a large scale piece but it seems somewhat old fashioned when compared to Beethoven. The sonata (for cello or for violin) has tended to be ignored by cellists though Berger feels that this is due to the traditional version for cello and he has gone back to the original violin version,. 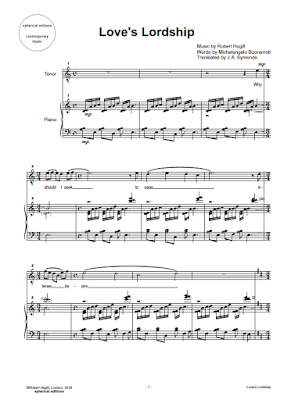 The result is a big boned sonata with a lovely melodic sweep, which seem to link to the good natured classicism to be found in Mendelssohn and by pass Beethoven's sturm und drang. 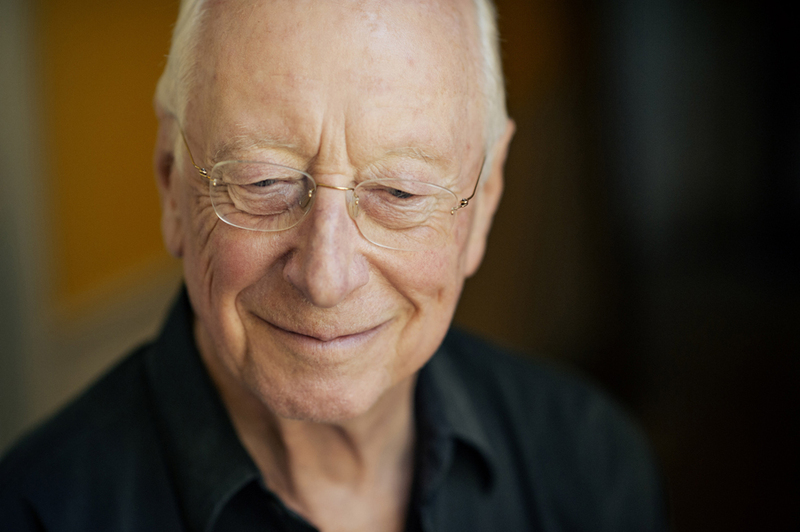 William Christie has been appointed Emeritus Conductor of the Orchestra of the Age of Enlightenment (OAE). 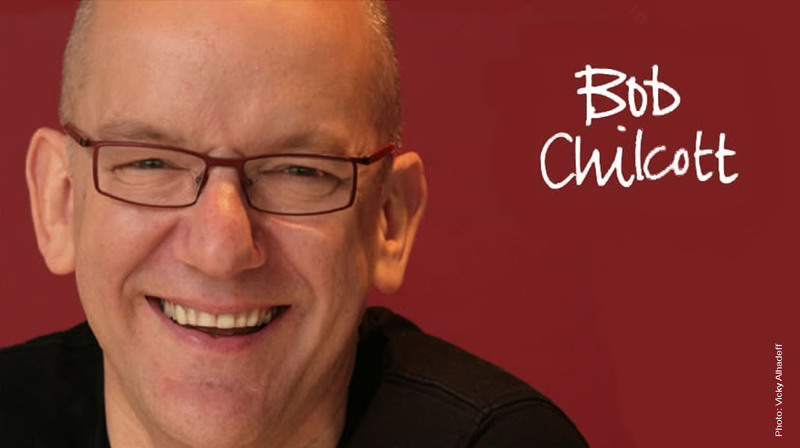 American-born Christie is best known for his founding of the French group Les Arts Florissants and the revival of French baroque music. 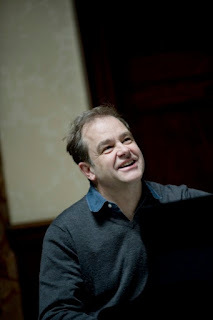 His association with the OAE dates from 1996 when he conducted them in famous performances of Handel's Theodora at Glyndebourne directed by Peter Sellers. Most recently Christie conducted the orchestra in Rameau's Hippolyte et Aricie at Glyndebourne in 2013. Though you might not recognise his name, the chances are that you have heard Paul Phoenix's voice. He was the treble soloist in Geoffrey Burgon's Nunc Dimittis which was used for the closing titles of the original TV series of Tinker Tailor Soldier Spy, and then as a tenor he spent 17 in the Kings Singers. This disc is by way of a celebration and a valedictory as Paul Phoenix has said goodbye to the Kings Singers. All the items on the disc, from the Edition Peters label, have a strongly popular vein, with a variety of influences, but all are united by some fine singing and high production values with Paul Phoenix joined by a number of guests, notably the vocal ensemble Apollo5. The disc starts off with Paul Phoenix singing a new version of Geoffrey Burgon's Nunc Dimittis which shows off his attractive lyric voice. 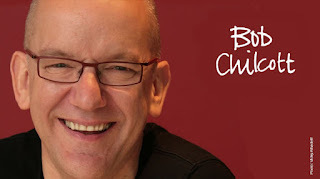 He has the sort of flexible technique which has enabled him to blend in a variety of ensembles, and in the Nunc Dimittis he combines to nice effect with Craig Burnett's trumpet, Nicholas Riddle's organ. 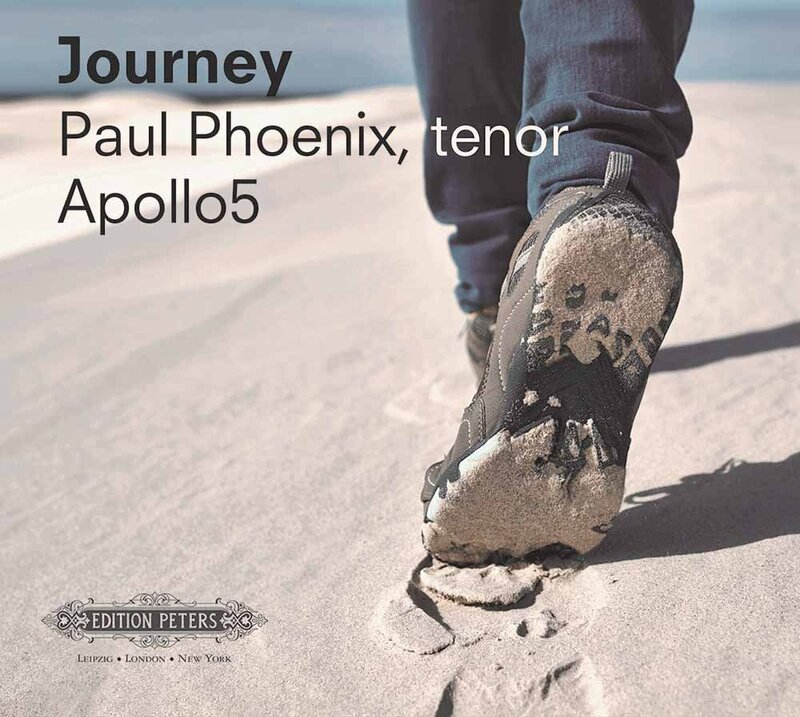 (If you visit Paul Phoenix's website there is a clip of his treble self singing the work). 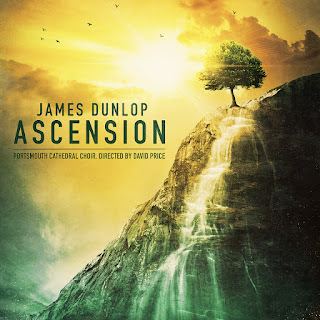 In John Brunning's Pie Jesu (from his 2006 oratorio Amazing Day) Phoenix duets with himself to nice effect. For Thomas Hewitt Jones' Child of the Stable's Secret Birth Phoenix is joined by soprano Andrea Haines for a short lyric Christmas piece with quite a strong musical theatre feel. La Passion de Jeanne d’Arc is a 1928 silent film by Carl Theodor Dreyer. The film was condemned unseen in France, vilified by Catholic authorities and was even banned in England for its depiction of English soldiers. Now recognised as a cinematic masterpiece, startlingly ahead of its time, it was based on the actual transcription of the trial. 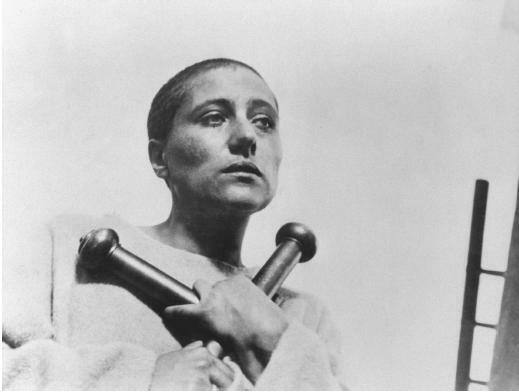 It features a striking performance by Renée Maria Falconetti as Jeanne d'Arc. The film has been presented with a variety of sound-tracks over the years, including music by composers as diverse as Nick Cave and JS Bach. 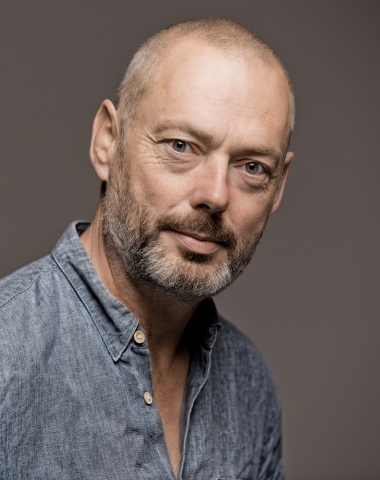 At LSO St Lukes on 29 January 2016, the film will be shown with music performed live by the Orlando Consort (Matthew Venner, Mark Dobell, Angus Smith, Donald Greig). Uniquely, they will be performing only music from the period of Jeanne d'Arc's life (1412-1431) with music by Binchois and Dufay. It is, frankly, probably not something which would have occurred to the original director, but it is a very appealing prospect. 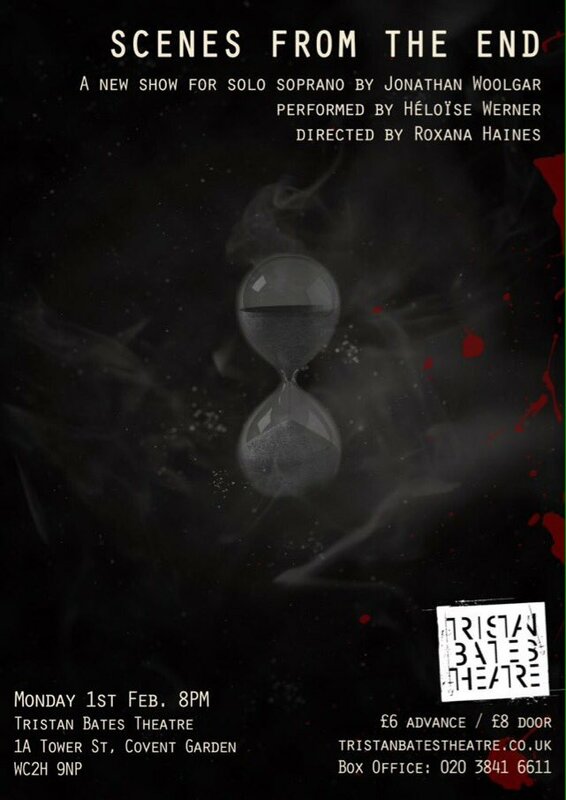 (You can see the film on-line at YouTube with no soundtrack). To souls whom love hath robed around with fire ? Since in my sum of woes all joys expire ! Gliding between her gladness and her woe ? An armed Knight's captive and slave confessed. 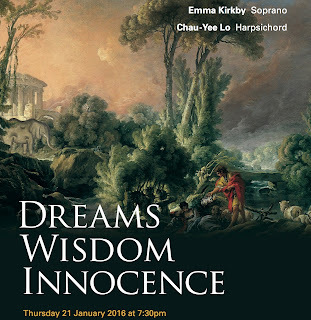 Mezzo-soprano Alice Coote, accompanied by pianist Julius Drake gave a generous programme of songs by Schubert, Strauss and Elgar as part of Temple Music’s Temple Song series at Middle Temple Hall on Thursday 22 January 2016. The programme started with Schubert songs including An den Mond, Der Musensohn, Der Zwerg, Auf dem Wasser zu singen, Nacht und Träume, and Erlkönig, and the second half opened with a selection of Richard Strauss songs including Zueignung. Ruhe meine Seele, Heimliche Aufforderung and Morgen, concluding with Elgar’s Sea Pictures. We had been warned that Coote was suffering problems with her throat, but little of this seemed evident from her fully committed and richly dramatic performance. We heard two versions of Schubert’s An den Mond, Alice Coote and Julius Drake opened with Schubert’s first version. This was quite low key, but with a lovely attention to detail of word and phrase from Coote. She sang with a lovely rich lower register, but shaded the upper register finely. Der Musensohn was performed with vibrant vigour, yet a light touch in the piano and delight in the voice. Der Tod und das Mädchen combined the intense drama of the young girl with a vivid evocation of Death. Der Zwerg opened with a sense of mystery in the piano and a lovely veiled tone from Coote, developing a real sense of sense of suppressed excitement as Coote brought out the different narrative voices vividly. Her performances were not operatic, but in all the songs she rendered individual characters vividly. The second version of An den Mond was full of lyric melancholy, building to a real sense of rapture. 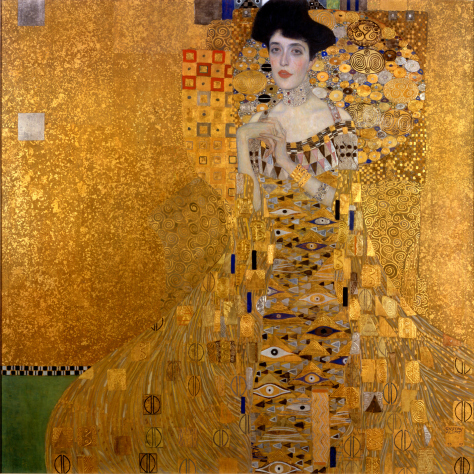 Rather than simply relaxing in the simple beauty of the song, Auf dem Wasser zu singen was really full of character in both piano and voice, whilst Seligkeit was surprisingly strongly sung and richly vibrant. Coote made Abendstern something rather touching and poignant. Nacht und Träume was quiet and intense with Drake making a lovely shimmer in the piano, and Coote singing with a lovely sense of long phrases, to create something mesmerising. Rastlose Liebe was all vivid vigour, with the phrases tumbling out. Du bist der Ruh was beautiful, but with a real sense of inwardness, whilst the second Wanderers Nachtlied combined this with an enchanting sense of line. Finally, we were treated to a really vivid account of Erlkönig, with Coote combining real firmness of line with a virtuoso sense of the different voices in the song, especially the insinuating title role with the piano really turning the screw up in the tension. The Choral Scholars of University College Dublin, is Ireland's leading collegiate choral ensemble. 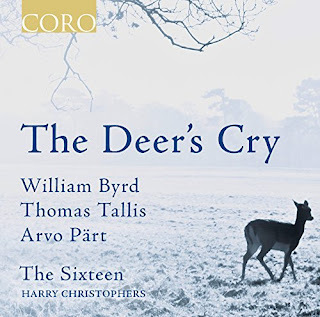 On this disc from Signum Classics the ensemble is directed by Desmond Earley, founding artistic director of the ensemble. 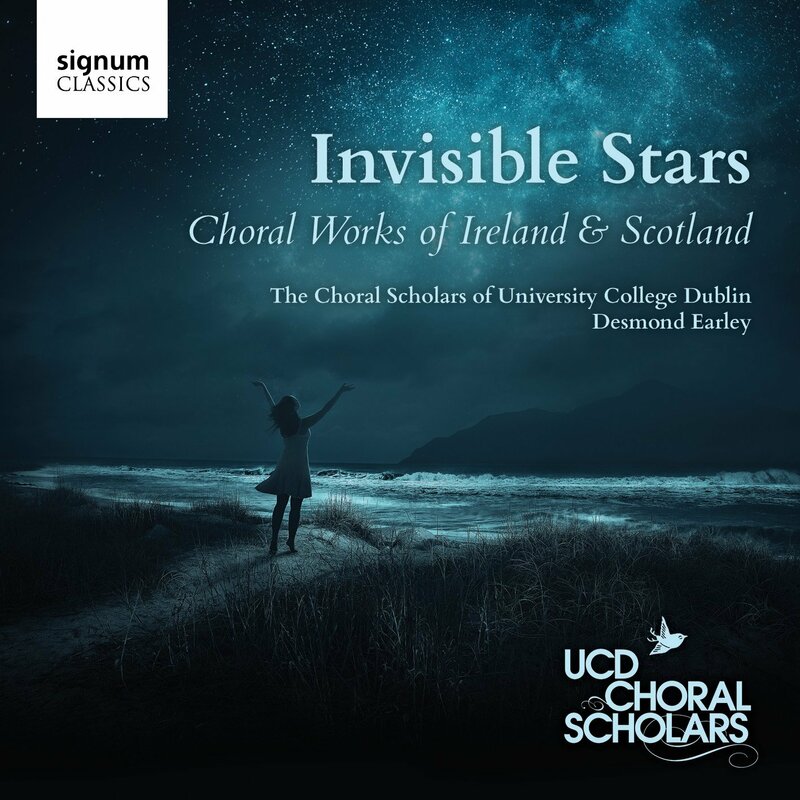 The disc, title Invisible Stars, showcases contemporary choral works from Ireland and Scotland many with a folk-influence. The works on the disc include music by Bill Whelan, Ivo Antognini, Michael McGlynn, Michael Rooney, Rolf Løvland and music by Desmond Early along with some of his arrangement of traditional melodies, and it is the sense of Celtic traditional musics which seems to inspire many of the works on the disc. Mo Ghille Mear is a traditional song, arranged by Desmond Earley, which starts with just tenor solo (Mark Waters) backed by choir before adding a drum Tristan Rosenstock on bodhran) to terrific effect. Sun and Moon and Stars with words by Frank McGuinness and music by Bill Whelan (who wrote the music for Riverdance) was first performed in 2013. It starts with Emma Jane Murphy's soulful cello, adding a whispered choral part and then a very Celtic folk soprano solo Emily Doyle though Whelan's music does add interesting rhythmic elements to the prevailing soulfulness. On Thursday 28 January 2016 there will be a chance for Londoners to hear the latest crop of students studying at the Wales International Academy of Voice. Directed by the distinguished tenor Dennis O'Neill, the academy selects a limited number of aspiring professional opera students from all over the world to come and study at its base in Cardiff each year. 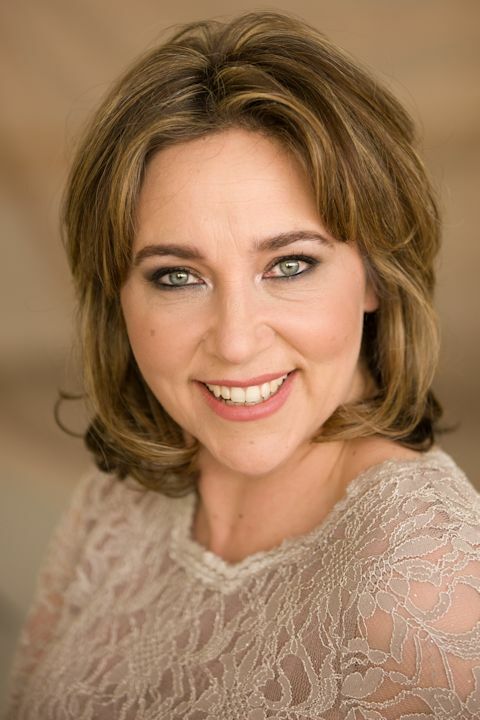 Students are given the opportunity to progress with their studies and to develop their voices under the guidance of Dennis O'Neill and his coaching staff, alongside distinguished visiting vocal consultants such as Dame Kiri Te Kanawa (the academy's president), Susan Bullock, Ryland Davies, Della Jones and Joyce Fieldsend. 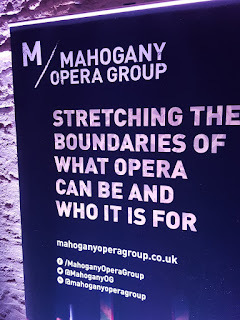 Mahogany Opera Group had an event on 20 January 2016 to celebrate the two years of the company's existence (from the merger of the Opera Group and Mahogany Opera), to look back over a very fruitful two years and to look ahead to new projects. We had a preview of the company's new family opera The Rattler, which has music by Stephen Deazley and words by Martin Riley. This premieres at the South Bank Centre in March and then goes on tour. The last two years have seen the company creating a diverse range of exciting and innovative work from Hans Krasa's children's opera Brundibar, through HK Gruber's Gloria a Pigtale to Rolf Hind's Lost in Thought the world's first mindfulness opera, and Emily Hall's Folie a Deux. Artistic director Frederic Wake-Walker talked about the importance of new work and breaking boundaries with the company's research and development programme which has workshops and rehearsals which are opened up to partners etc, which he describes as a terrifying idea but helps to connect the company to the real world. 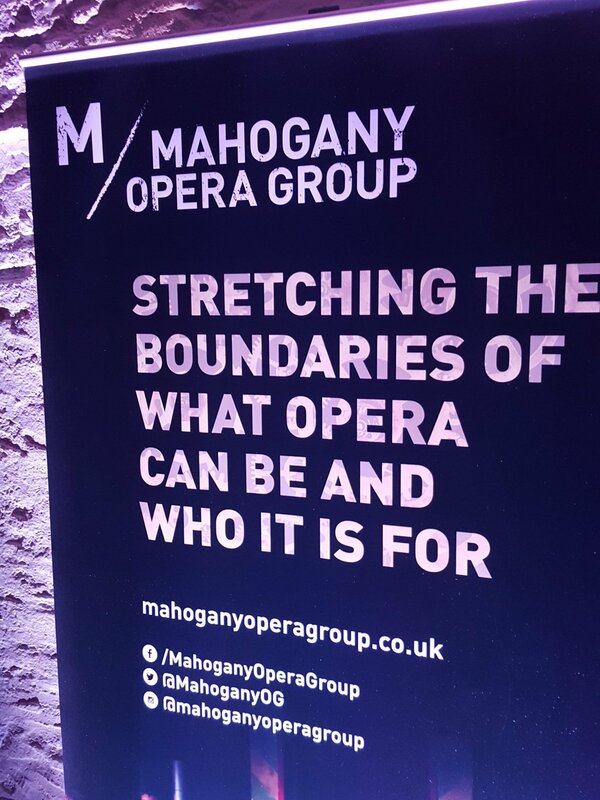 The company tries to keep a broad perspective, creating opera and music theatre, and working with children and young people is a very important strand for them, especially giving young people the opportunity to work alongside professionals. Some of the young singers from their recent production of Brundibar have now gone on to join the Royal Opera House's youth opera company. One of the admirable things about the company is that project have a long shelf life and so they can have a number of different works in various stages of touring both at home and abroad. Ian Page and Classical Opera continued their 25 celebration of Mozart's music with the year 1766. 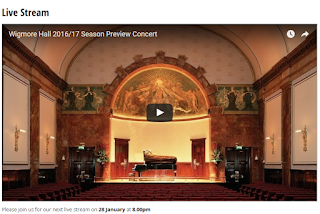 1766 - a retrospective at the Wigmore Hall on 19 January 2016 provided an over view of music from that year, including not only Mozart but works by Jommelli, Vanhal, Haydn, Guglielmi, Beck and JC Bach. We heard two of the symphonies that Mozart wrote that year, along with concert arias sung by Louise Alder (soprano), and Benjamin Hulett (tenor), plus an aria from Jommelli's opera Il Vologeso, and an aria from Guglielmi's opera Lo spirito di contradizione, the Et incarnatus est from Haydn's Missa Cellensis in honorem BVM, symphonies by Vanhal and Beck, and a song by JC Bach written for Vauxhall Pleasure Gardens. Not all the music was heard by the 10 year old composer, and not all of the pieces were masterpieces but it gave us a wonderful view of music from the period to set alongside Mozart's remarkable development. We started with Mozart's Symphony No. 5 in B flat major K22, a work premiered whilst Mozart was in the Hague in January 1766. 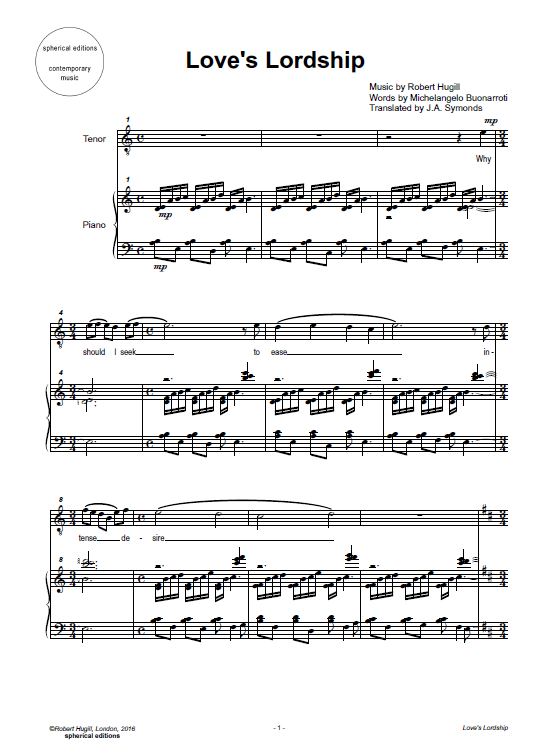 In three movements, it is a confident and compact piece with a lively opening which uses the idea of an opening pedal note with a great deal of imagination: the cellos and basses play the same repeated note over a long span. As the movement developed it was clear that the young composer enjoyed contrasts both of texture and of dynamics. There was a shapely, elegant Andante and a lively, dance-like Molto allegro finale which had a view rumbustious elements. 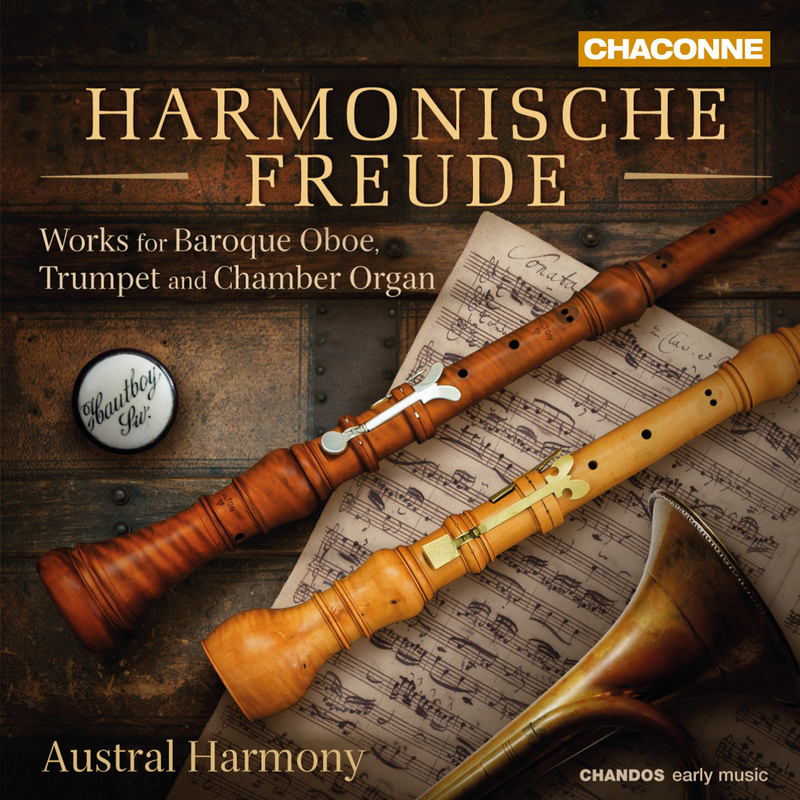 This disc looks rather unlikely at first sight: Harmonische Freude - Works for Baroque Oboe, Trumpet and Chamber Music. But Austral Harmony (Jane Downer, Simon Desbruslais and Peter Hagen) are exploring little known but recognise territory. During the baroque period there was a fashion for mixing instruments and organ and even hiding the instrumentalist so that the audience/congregation heard the instrument as part of the organ. So on this disc on the Chandos Chaconne label we get music by Johann Sebastian Bach along with his contemporaries Johann Ludwig Krebs (1713-1780), Gottfried August Homilus (1714-1783), Christian Gotthilf Tag (1735-1811) and George Friedrich Kauffmann (1679-1733) for organ plus instruments. Much of the music is chorale based, the added instruments were often used to play the chorale melody against the organ's elaborations. In fact, we should think of them as hymns rather than staid chorales and one of the animating features of the performance is the attempt to recreate the sense of joy that the music was intended to bring. The composers featured on the disc are, apart from the great JSB, all relatively unknown. Johann Ludwig Krebs started out as one of Bach's most notable pupils at the Thomasschule in Leipzig, achieving employment as organist in Zwickau and ending up as organist at the Scholosskirche of the court of Prince Friedrich II of Saxe-Gotha Altenburg. Gottfried August Homilius also received instruction from Bach in Leipzig and later worked in Dresden becoming director of music at the three main churches. Christian Gotthilf Tag was a pupil of Homilius, studying in Dresden, and ending up working in Hohenstein. Georg Friedrich Kauffman's connection to Bach was more tenuous. He was court and cathedral organist in Merseburg and was the first choice for the position of Kapellmeister in Leipzig when Bach eventually got the job. One of the fascinating things about the disc is the selection of trumpets played by Simon Desbruslais, as he flexibly moves between a number of different types. Not only two different natural trumpets, but a slide trumpet (which he specially engineered for the recording with the help of Joel Raymond) and a modern valve trumpet thus giving us the chance to compare and contrast. Personally I loved the highly characterful sound of the slide trumpet best, but it was lovely to compare the differences. 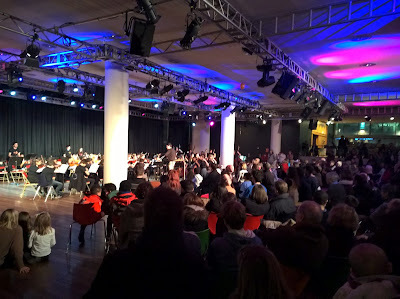 To coincide with the appearance of Gustavo Dudamel and the Simon Bolivar Orchestra at the South Bank Centre on Saturday 16 January 2016, there was a showcase in the Clore Ballroom of orchestras from a number of El Sistema inspired projects around the UK. 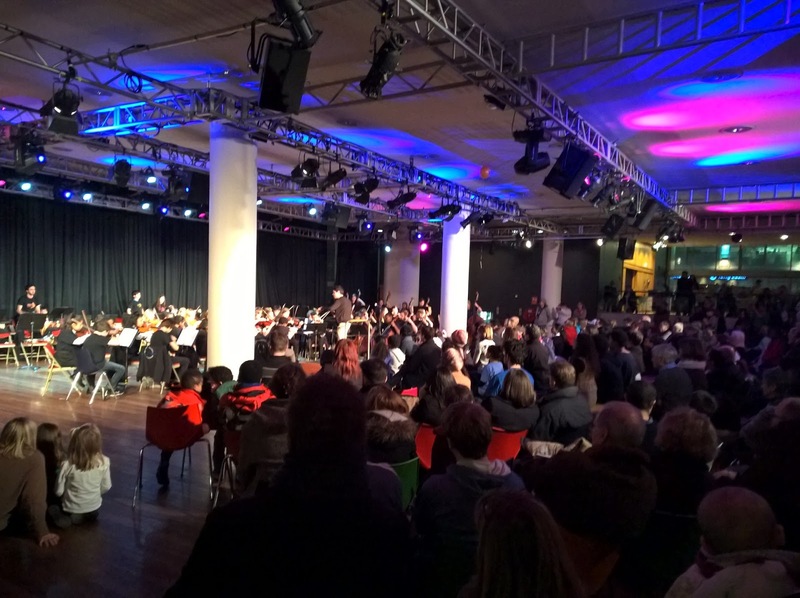 Performers included the Nucleo Project Chamber Group, Sistema England Young Leaders Orchestra, In Harmony Lambeth Holst Orchestra and Sistema London Orchestra so there were lot of young people being marshalled around the hall. But what was just as inspiring was the huge audience which the event attracted, and incredibly diverse group of people including of course parents and family giving us a glimpse of how El Sistema-inspired projects are as much social as musical in their importance. We started with a chamber group from the Nucleo project (based in North Kensington), and a group of seven young people played the Badinerie from Bach's Suite No. 2. They were followed by the Sistema England Young Leaders Orchestra which is made up of 46 advanced players from four projects, In Harmony Lambeth, In Harmony Liverpool, Sistema in Norwich and the Nucleo Project. They were conducted by Félix Briceño from El Sistema in Venezuala and Juan Carlos Maggiorani from Orquestra Geração, a Sistema-inspired project in Portugal. 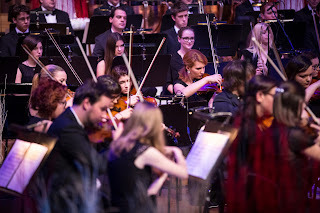 The orchestra played a suite of John Williams music from Harry Potter, followed by a lively Portuguese piece which included a fine violin solo as well as much clapping, swaying and movement from the young players. The last group I heard was In Harmony Lambeth's Holst Orchestra, made up of players who have between three and six years experience, who come together twice a week for rehearsals in Lambeth. The group's programme included Moondance and a lively version of Take Five. The event had started late, marshalling so many young people is not without its problems and at one point there was a public address announcement listing the missing young people who were needed for the performance. When I left, the performances were in full swing, clearly being enjoyed by the large audience. An intriguing programme and a numinous beauty of tone in a this programme from the young choir arising out of the Eton Choral Courses. 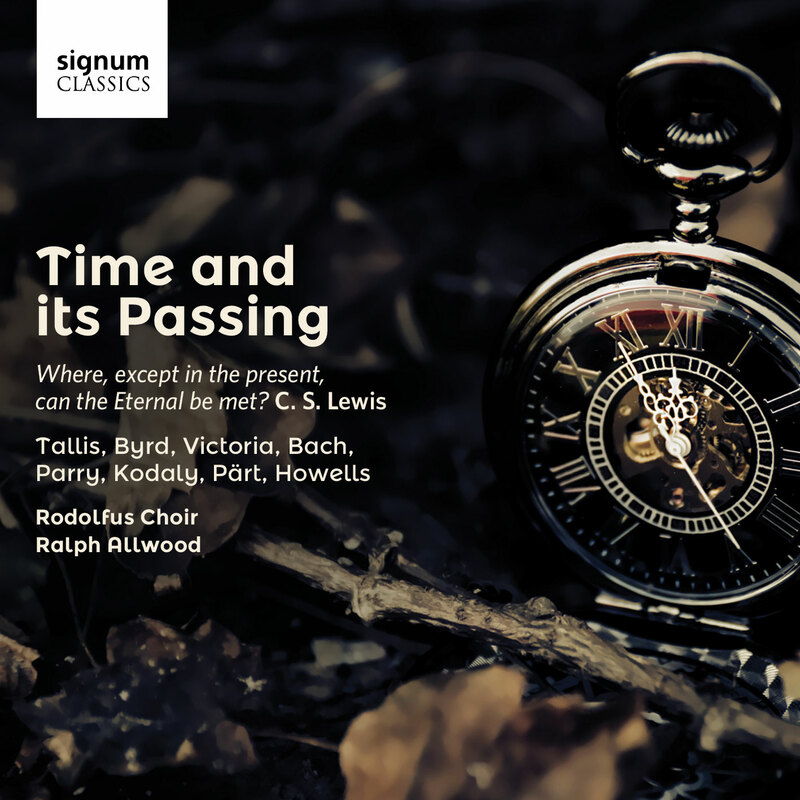 This disc from Ralph Allwood and the Rodolfus Choir explores the fascinating concept of time and its passing in a programme which mixes old and new in an exploration of different concepts of time represented in music. 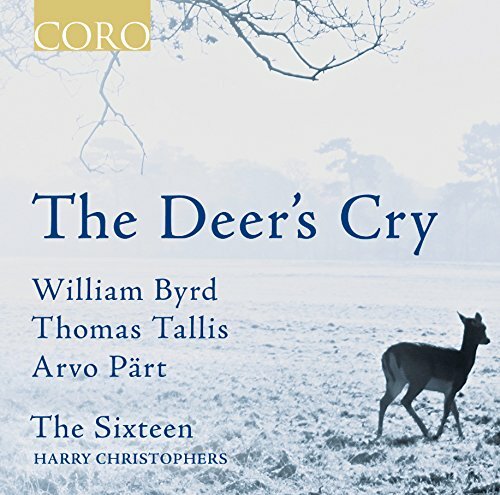 Issued on the Signum Classics label, the composers represented are a diverse group including John Tavener, Thomas Tallis, Gabriel Jackson, Arvo Pärt, Gerald Finzi, Zoltan Kodaly, William Byrd, Orlando Gibbons, Thomas Recknell, Adrian Cruft, Henry Ley, Herbert Howells, Benjamin Rowarth, Thomas Tallis, C. Hubert Parry, Thomas Luis de Victoria and Johann Sebastian Bach. The young singers of the Rodolfus Choir are alumni of the Eton Choral Courses run by their conductor Ralph Allwood and the choir has lovely clear bright sound with a fine sense of legato, nicely even tone and some notably clear, pure sopranos, along with fine technical control. All this is showcased in the opening work, John Tavener's O Do not move which is tiny but perfect, sung with a lovely even radiant tone. The second item is Thomas Tallis's third mode melody from Archbishop Parker's Psalter sung to words by the 17th century priest and hymn writer, John Mason. Here the piece is sung with such a lovely smooth sense of legato that the words to a certain extent seem to be sacrificed. The recent Trinity Laban Gold Medal competition (11 January 2015) at Kings Place showcased the conservatoire's top students and the winner was announced as Harry Palmer, currently a third year composition student. The audience at the competition heard three of Palmer's compositions (conducted by the young conductor George Jackson), and they were popular with audience and adjudicators alike. The adjudicators were Dr Claire Mera-Nelson (Trinity Laban’s Director of Music), Gillian Moore MBE (Director of Music at the Southbank Centre) and violinist Tasmin Little OBE. Tasmin Little commented that the evening has been a 'feast of music for all', praising Palmer for his 'gripping and mesmeric' compositions. Previous winners of the Gold Medal competition have gone on to great things, with Elliot Galvin (Jazz Pianist, 2014) going on onto to be crowned European Young Jazz Musician of The Year, while last year’s winner Nardus Williams (Voice) is already forging a successful career as a Samling Scholar and Park Lane Group Young Artist.